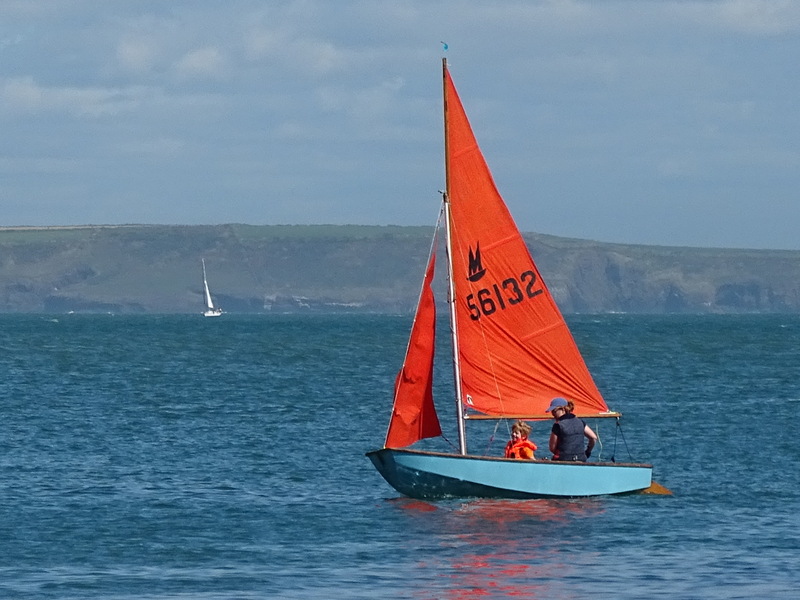 The Mirror is a premier two handed junior sailing dinghy in Ireland. The boat, launched in 1963 has stood the test of time and is still active today. 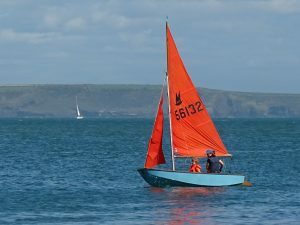 Originally designed to be sold in kit form with plywood hull and gaff rig, the latest boats are constructed in GRP sandwich with a one piece mast. 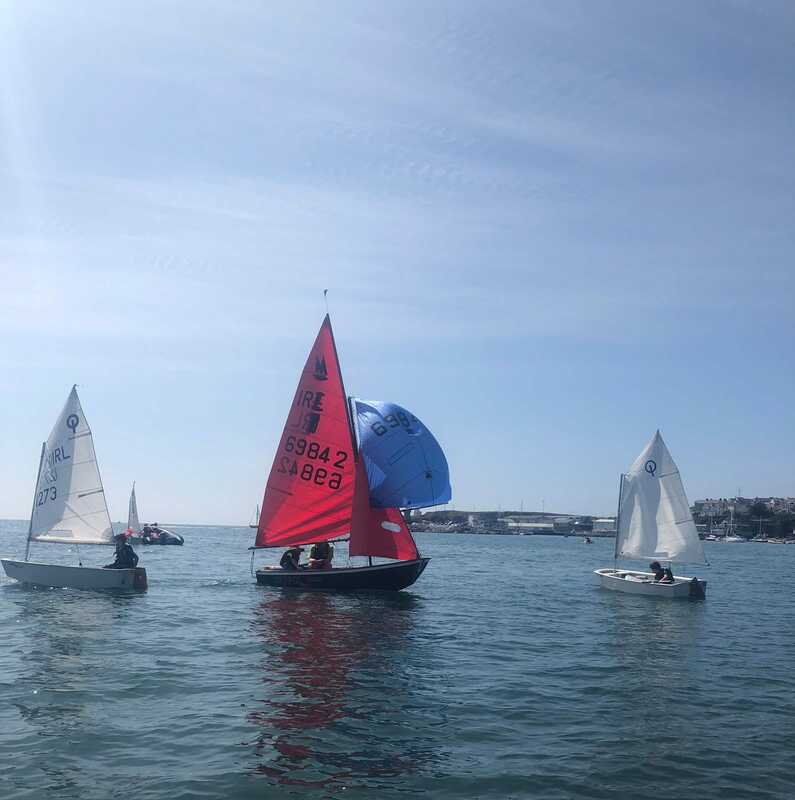 The Mirror has introduced many generations to the lifetime sport of sailing, including Annalise Murphy. Irish Olympic medalist but there is fun to be had participating at every level, learning to sail or racing. Mirrors have been sailed by families in the club since the seventies. They were used for the first junior courses in the early eighties and very competitive racing ensued shortly after! The fleet grew to 25 by the early nineties. Flotilla’s of Mirrors often beached on Ladie’s Cove and Lawlor’s Strand at Dunmore East for family picnics. There’s a revival underway ! 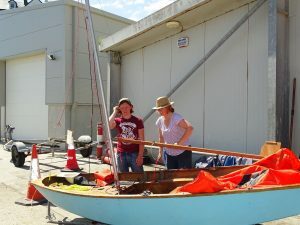 Children who sailed then, now parents, have been sourcing boats or even restoring their own original boats, idle but safe in sheds for up to 24 years ! Others have acquired wooden Mirrors too to relive their own memories and teach their kids in turn. There are currently six restored Mirrors in the club and more are being sought. 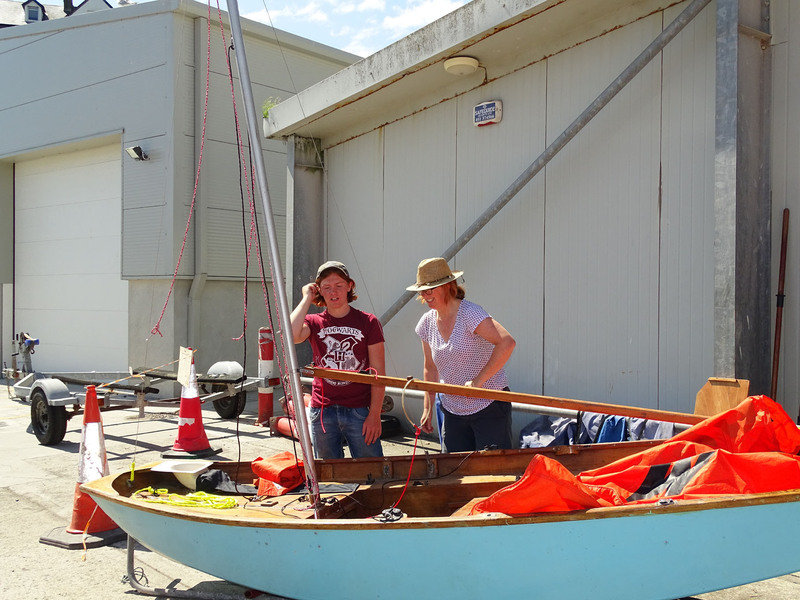 Good serviceable wooden Mirror dinghies – when you can find one – can be purchased for around €500 to €1,000 but costs vary widely! Do come and join our friendly club fleet. 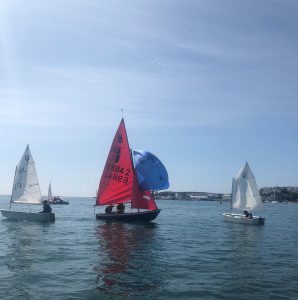 We will be happy to provide both practical advice and encouragement whether you would like to sail, race or even just try sailing a Mirror.